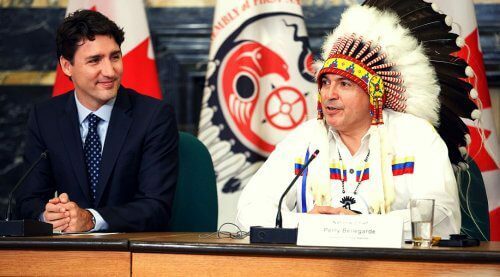 OTTAWA, ON (December 6, 2018): In a dangerous and changing world, getting Canada’s defence policy right is as important as ever. 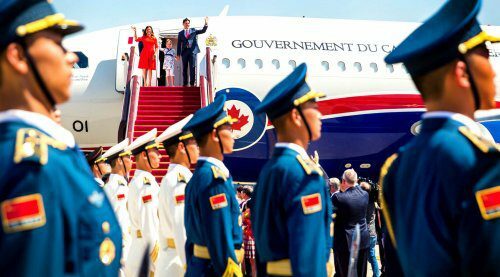 From Russia, to China, to North Korea, and more, Canada is facing global challenges for which Ottawa must be prepared. 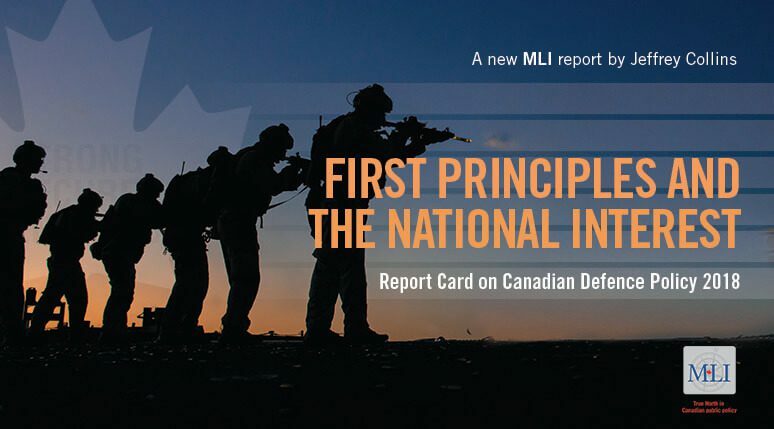 With that in mind, MLI is pleased to release a new report by Jeffrey F. Collins titled First Principles and the National Interest: Report Card on Canadian Defence Policy 2018. 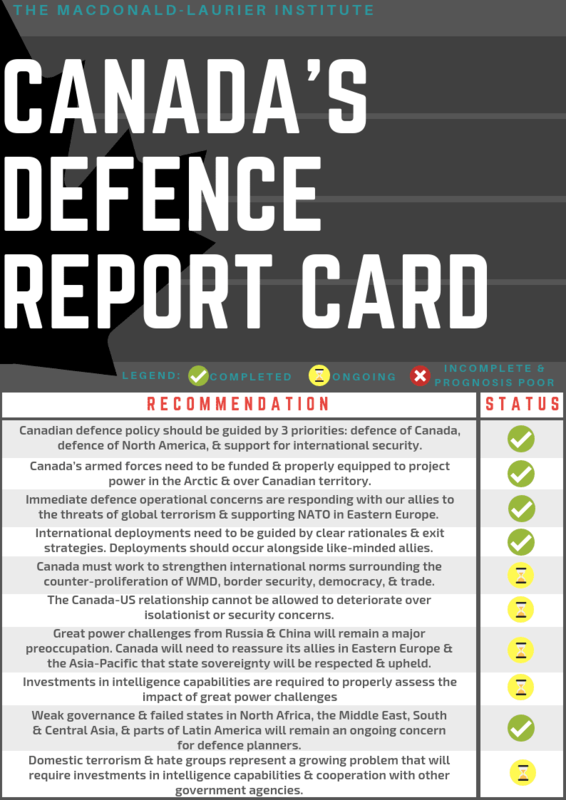 MLI’s report card is the first study to broadly take the pulse of Canada’s defence policy since the last election and assess the government’s progress. 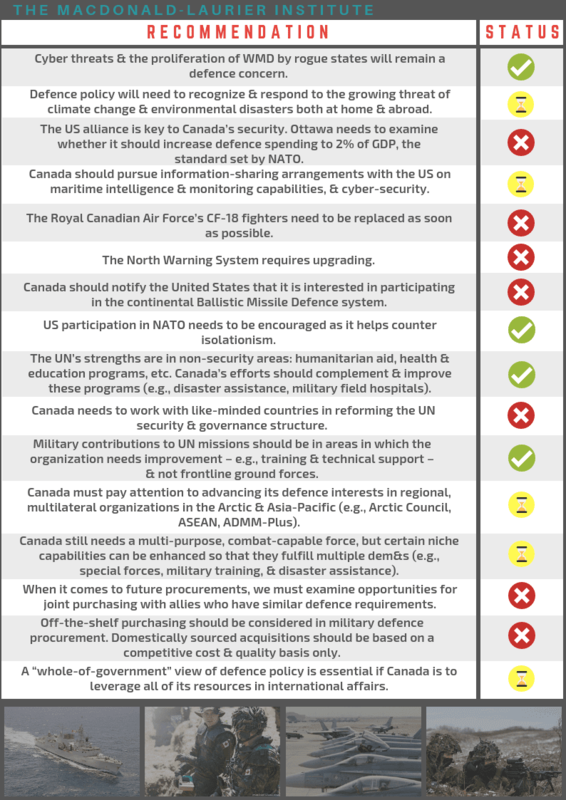 It grades the Trudeau government’s approach to defence based on whether it has adhered to 26 expert recommendations across the themes of defence priorities and principles, the security environment, alliances, UN involvement, and future capabilities. So far, the government has delivered on only eight of the recommended priorities. 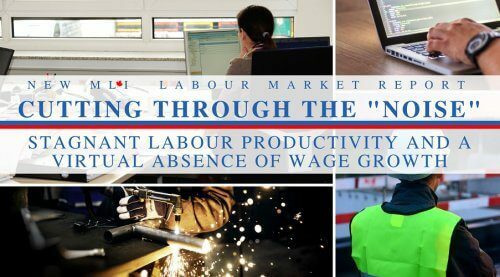 Based on recommendations from a previous MLI paper, this report assesses each recommendation as either ‘complete,’ ‘ongoing,’ or ‘incomplete and prognosis poor.’ It finds that the Trudeau government has completed eight of the expert recommendations, 11 remain ongoing, and seven are incomplete with no indication that the government will resolve them. 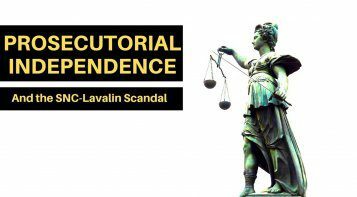 For the recommendations that are completed, Collins argues that the government is keeping with long-standing defence policy practices in Canada. This includes prioritizing defence policy along domestic, continental, and international lines as well as responding to immediate allied operational concerns, such as in the Middle East and Eastern Europe. 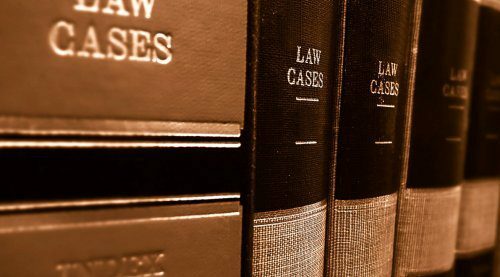 Lastly, for the seven recommendations that are incomplete with poor prognoses, Collins argues that “procurement woes, domestic political sensitivity, and money,” are all playing a role. 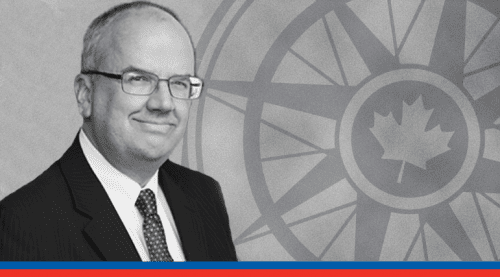 To learn more about Canada’s policy performance on defence, check out the full paper here. The final scorecard may also be read on its own below.